Attracting new talent is essential to the future of the plumbing-heating-cooling (p-h-c) industry. The PHCC Educational Foundation and its industry partners are teaming up to identify and aid students pursuing a career in the p-h-c industry. 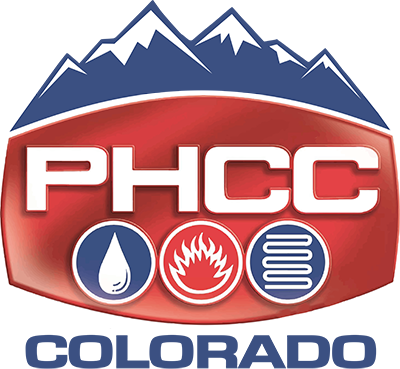 The purpose of these scholarship programs is to help students prepare for careers in the plumbing-heating-cooling (p-h-c) profession. Click here to read more. The U.S. Occupational Safety and Health Administration (OSHA) announced it has issued cost of living adjusted minimum fines effective Jan. 2, 2018. The "Serious Other-Than-Serious Posting Requirements" penalty increases from $12,471 to $12,934. The "Failure to Abate" penalty beyond the abatement day similarly increases from $12,471 per day to $12,934 per day. Penalties for willful or repeated violations rise to $129,340 from $124,709. State programs are expected to change penalty structures to match, at a minimum, the federal schedule. 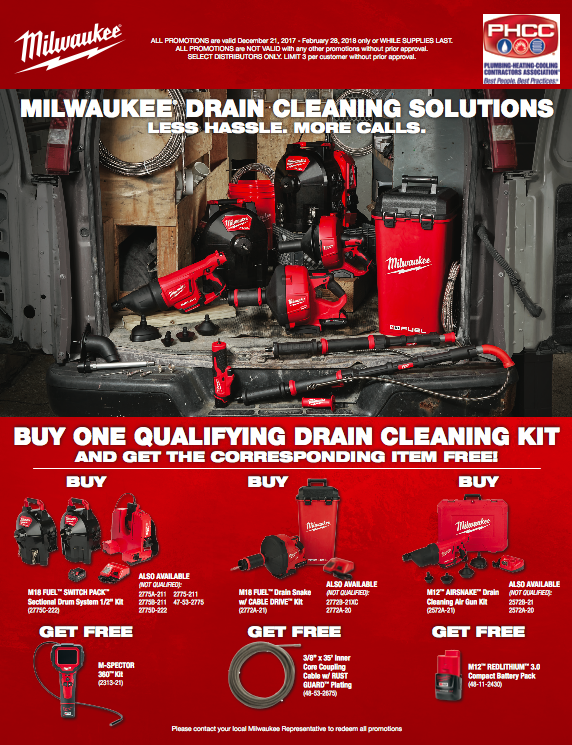 Milwaukee, a PHCC Colorado Affiliate Member, is running a special promotion on drain cleaning solutions through February 28, 2018. 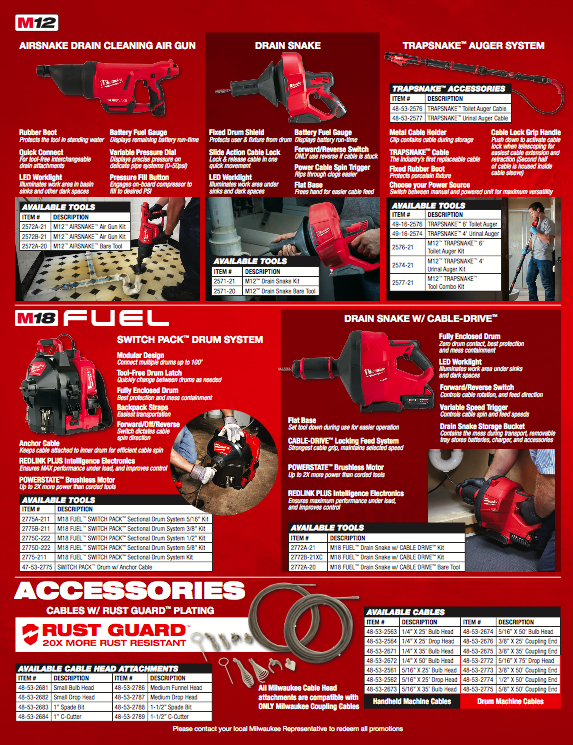 Please contact [email protected] for more information. Some business owners procrastinate or avoid communicating their succession plans because they fear how family members and employees might react. However, their silence may actually create more stress and cause harm to the business. Most employees—including family members—will feel more secure about the future if they know what to expect and how they will fit in. It’s never too late to develop a business succession plan. But the earlier you start, the better. Estate planning experts agree that long-term plans to transfer businesses are generally much more successful than those “patched together” following the unexpected death or disability of an owner. Think about it, whether he or she is one of your children or a high school student working part-time, that young person could someday be the head of the company. Experts agree—succession planning includes creating an environment that motivates employees to use their talents and skills to reach their full potential and contribute to the success of the business. Sounds simple, but how do you accomplish it? Perhaps a mentor program or an apprenticeship is a good start. Talented young people are more likely to stay with the company if they feel involved in something bigger than their own job. It is wise to provide opportunities by matching experienced workers with newer employees to guide them as they grow in their jobs. As employees gain experience, they become assets to your business and their value increases. Providing key employees opportunities to gain well-rounded business experience through cross-functional training and experience is admirable. This no doubt helps them become dependable managers who can make good decisions and take initiatives to improve operations. Make the Most of Your PHCC Membership: New Online HVAC Business Interest Group Coming Next Week! There will soon be a new online HVAC Business Interest Group with specific HVAC-oriented information, resources and discussion opportunities to help expand knowledge and contact base. PHCC members will be automatically subscribed to this online forum. Look for an email early next week from Plumbing-Heating-Cooling Contractors—National Association ([email protected]) so you can join the conversation!